"I apologize for these offensive comments and I reiterate that they do not reflect who I am today," said the Liberal candidate from Alberta. A Liberal hopeful has released an apology for profane tweets about women he made years earlier, saying “they do not reflect” who he is today. 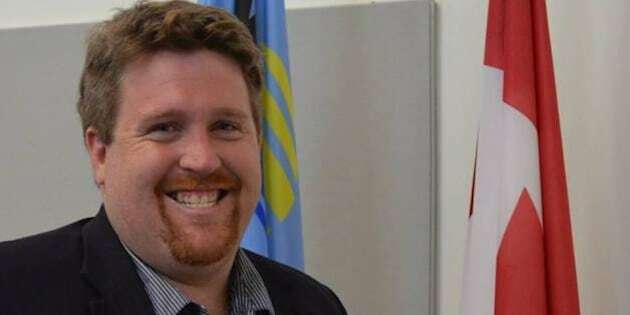 Alberta candidate Chris Brown explained in a blog post on the Liberal website Thursday that personal tragedy in 2009 impaired his judgement on social media. Brown is currently running under the Liberal banner in Peace River-Westlock. During a campaign stop in Vancouver earlier in the day, Liberal Leader Justin Trudeau acknowledged the controversy and said he intended to speak with Brown later in the day. On Wednesday, the Alberta candidate was criticized over offensive language he used to refer to women in a handful of tweets sent six years ago. They were published from a Twitter account associated with his name. That account appeared to have been deleted Thursday. I sincerely apologize for the offensive comments I made on social media in the past. These comments were inappropriate and do not reflect the level of professionalism exemplified by those running for office. This is not an excuse, but let me put those comments in context. In 2009, I lost my partner in a car accident in which a drunk driver was involved. This was an extremely difficult time for me personally and something I do not wish upon anyone. This emotional anguish led to an alcohol dependency problem and a complete lack of judgement when posting on social media. I am not proud of this period in my life, but with the help of my family and friends, I am proud to say that this is now behind me. I have moved forward in my life, and I am now dedicated to giving back to my community and serving the residents of Peace River–Westlock. Again, I apologize for these offensive comments and I reiterate that they do not reflect who I am today.